As fitting vintage nibs to the Bock size 6 units on the regular-sized Bulkfillers is a relatively simple affair, how many FPN-ers have undertaken such a transplant? What did you install? How do you find them? Photos please! Edited by mongrelnomad, 19 April 2015 - 18:57. Great shot. Thanks for posting. To tell you the truth I'm unsure what nibs will fit on the Conid Bulk Filler feeder. I realize it's a Bock 6 - but what fits? You've found it I see. Any nib with a 6mm base (to fit the 6mm feed). Length is a bit of trial and error, but this nib fits just fine. I have a Waterman Patrician EF flex on the way too... Can't wait to try that. It was only yesterday that I replied (in 'Nibs & Tines') on this very wonderfully exciting subject. Edited by pavoni, 20 April 2015 - 19:50. 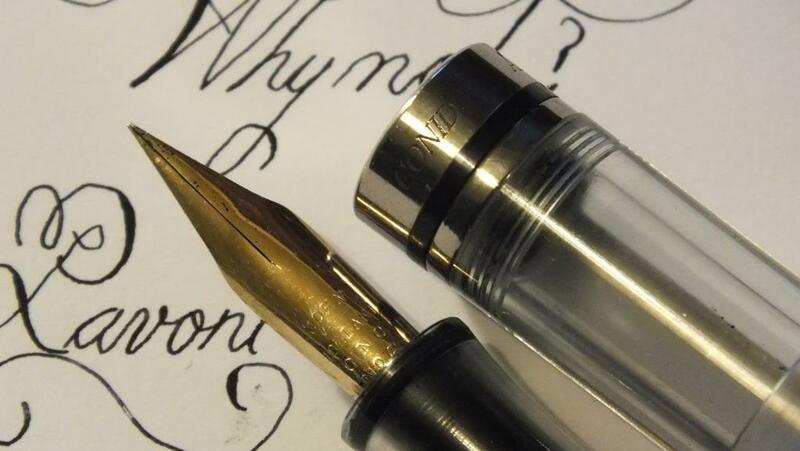 Love your photo of that Sheaffer EF nib. EF is definitely my favoured nib width. As and when I improve upon my Waterman nib, I will update your thread. Hopefully we will inspire other Bulkfiller owners. 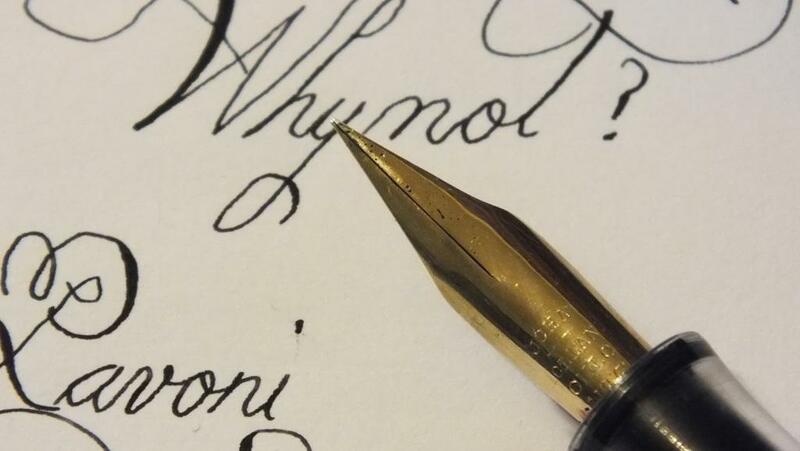 By 6 mm do you mean shoulder to shoulder, or the very back of the nib ? I hope to transplant some vintage flex onto mine as well. I will be sure to share my results here. Has anyone considered machining their own nib housings that can simply screw in as a replacement for the bock units? Edited by mongrelnomad, 22 April 2015 - 19:10. I think the easist way is probably just buying 3-4 extra steel nib units when buying your next Conid. If I recall correctly, each one is only 5 EUR. At least for the #6 nibs. Argh. I can find everything ..other than a broad. I've sent two messages to Werner. Must be very busy as mentioned. If anyone sources a broad 6mm please let me know. My absolute favourite fountain pen is the majestic Montblanc 139. I have two. Given their value to me, mine stay at home. My favourite modern fountain pen is the outstanding Conid Bulkfiller. It is a very practical, reliable and attractive pen and I carry mine all the time. 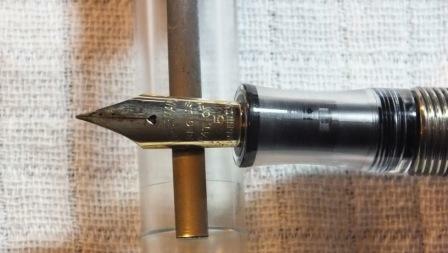 However, I am frustrated with its adequate but boring Bock titanium nib. 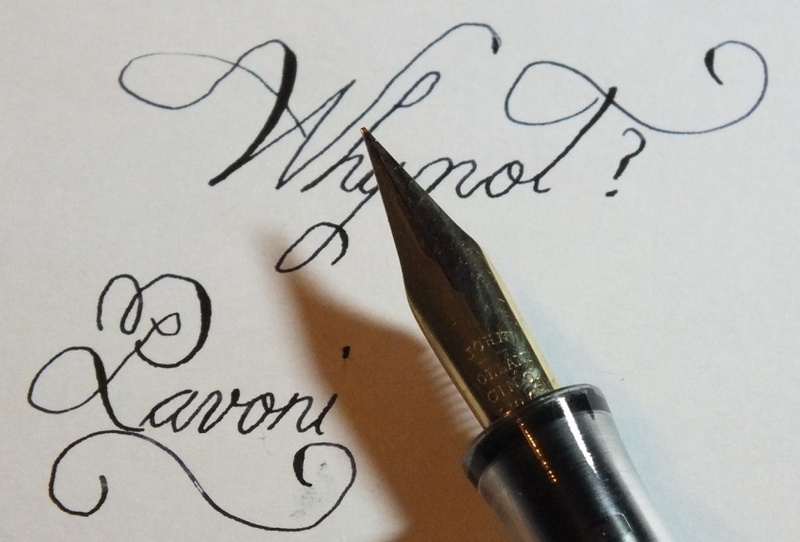 My absolute favourite nib is the amazing Leonardt Principal and I use these nibs in my oblique holder(s) at work for all my formal letter writing. As I continue my quest, to find the perfect nib for my standard-sized Bulkfiller, I find myself delving deeper into my pen collection for candidate nibs. I have a few pens and, if it isn’t practical for me to use all my pens as often as I would wish, I might as well take advantage of borrowing a suitable nib knowing I can put it back whenever I wish. 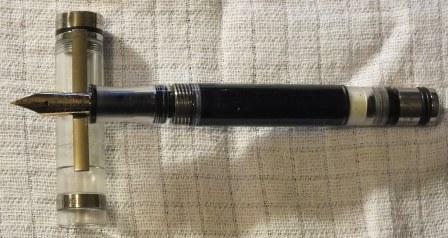 I recently borrowed a Waterman’s 5 nib from my Waterman’s 55. Whilst a perfect fit and considerable improvement over the Bock, mine unfortunately only has medium flex, rather than superflex, qualities. Today I am trying a John Holland size 6 dip nib. The nib is 14k gold and has iridium tipping and as such, with sensible use, the nib should clearly outlive me and of course it won’t rust. I paid a lot of money for this 1850s dip nib to be put onto a vintage eyedropper in the hope of realising a perfect pen. However, whilst eyedroppers benefit from a huge ink capacity, they are not exactly practical in the modern work environment and in any event, what on earth is the point of having such ink capacity if the ink level has to be continually topped up for the pen to work properly? 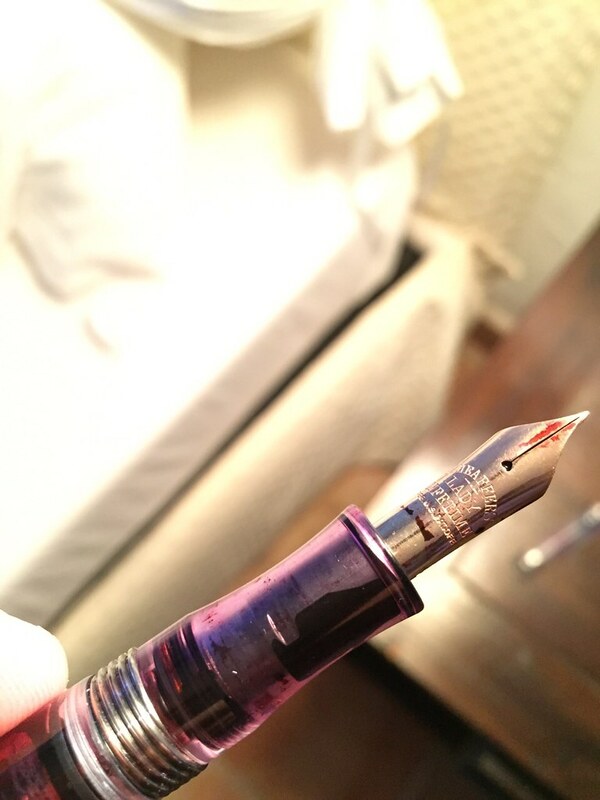 So, a dip nib on a Fountainbel Conid Bulkfiller! Edited by pavoni, 26 April 2015 - 05:53. Considering the huge ink capacity of these pens it would be amazing to find a vintage music nib that fits. That would be quite the set-up. That is awesome, Pavoni! Your handwriting is lovely too. The uppercase "P" is especially nice, IMO. You are absolutely right hanryy. 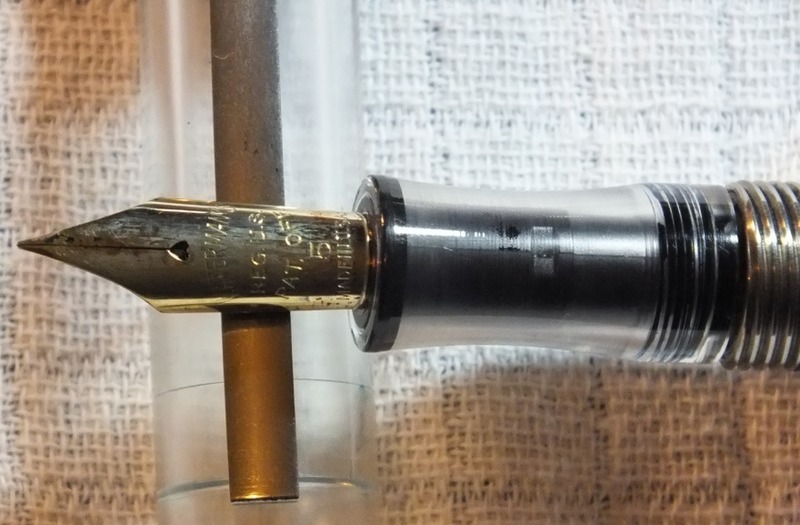 I would have thought the Bulkfiller to be the most perfect pen for a vintage music nib and I must admit you now have me wishing to see such a picture.